Marv Albert is an American sportscaster. Honored for his work as a member of the Basketball Hall of Fame, he is commonly referred to as “the voice of basketball”. From 1967–2004, he was also known as “the voice of the New York Knicks”. Albert has called the play-by-play of six Super Bowls, NBA Finals, and seven Stanley Cup Finals. He has also called the Wimbledon Tennis Championships for TNT with Jim Courier and Mary Carillo. 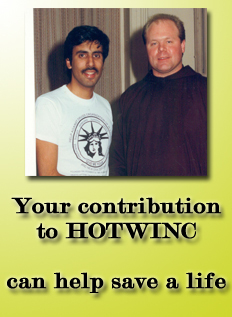 He also worked as a co-host and reporter for two World Series (1986 and 1988). Albert currently works for Turner Sports and CBS Sports. He serves as lead announcer for NBA games on TNT, has formerly called regional NFL games on CBS, and also calls NCAA tournament action for CBS and Turner. For 37 years beginning in 1967, Albert was the voice of the New York Knicks on radio and television (getting his start by being a ball boy for the Knicks before getting his first break on New York radio by sportscaster Marty Glickman) before being let go by James L. Dolan, the chairman of the MSG Network and Cablevision, after Albert criticized the Knicks’ poor play on-air in 2004. His son Kenny Albert has been a part-time play-by-play announcer for the Knicks since 2009, whenever the older Albert’s successor Mike Breen (whom he later followed on the NBA on NBC broadcasts and now works on ESPN and ABC aside from his role at MSG) is unavailable. Albert has gained credibility and popularity among younger television viewers during his 126  guest appearances on David Letterman’s late night talk shows for NBC and CBS. Each time Albert appears, he brings with him a group of clips featuring sports bloopers and outstanding plays, which he narrates and dubs the “Albert Achievement Awards”. The music accompanying the bloopers is “12th Street Rag”. Albert was placed as number 14 on David J. Halberstam’s list of Top 50 All Time Network Television Sports Announcers on Yahoo! Sports. In 1992, he appeared as himself on Roger Waters’ rock album Amused to Death, giving a mock commentary on the destruction of an oil rig on the song “Perfect Sense, Part II”. An “Albert Achievement Awards” video was released in 1993. It featured cameos by Mike Fratello, Ahmad Rashad, Charles Barkley, David Letterman, O.J. Simpson, Bob Costas, and Tom Brokaw. Albert became the first guest commentator in MTV’s Celebrity Death Match cartoon series. He appeared in the 1998 pilot episode before being replaced with Stacey Cornbred. Albert was briefly mentioned in the 2006 film Grandma’s Boy. Albert also appeared as a special guest on The Simpsons, in the Season 20 episode “The Burns and the Bees” in 2008. Albert’s voice is imitated in the popular video game NBA Jam. The announcer was modeled on Albert although there is no mention of Albert in the game and was actually voiced by Tim Kitzrow. 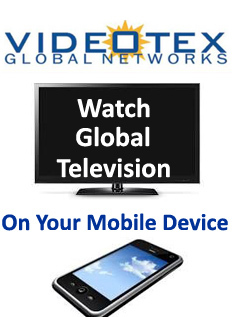 Cable ACE Award – six times. Curt Gowdy Media Award – awarded by the Naismith Memorial Basketball Hall of Fame, 1994. American Sportscasters Association Sportscaster of the Year (Play-by-Play) – 1996. Other honorees included Sportscaster of the Year (Studio Host) Chris Berman, Hall of Fame inductee Jack Whitaker, Sports Legend Joe Frazier and Honorary Sportscaster Dr. Henry Kissinger. Emmy Award – for national sports: five times; for New York: three times. Nassau County Sports Hall of Fame – inducted in 2006. National Jewish Museum Sports Hall of Fame – inducted in 1992. New York State Sportscaster of the Year – twenty times. National Sportscasters and Sportswriters Association Hall of Fame – inducted in 2014. 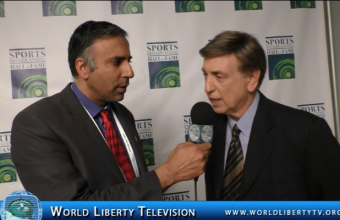 World Liberty TV, Team had the pleasure of interviewing Mr Albert as he was getting ready to be inducted in The Sports Broadcasting Hall of Fame class of 2015, see more right here in our World Liberty TV, Sports Channel . The 29th annual Ring 8 Holiday Event and Awards Ceremony was held Sunday afternoon (12:30-5:30 p.m. ET), December 13 at Russo’s On The Bay in Howard Beach, New York. Randy Gordon served as the event’s Master of Ceremonies. Ring 8 has announced its 2015 award winners (see complete list below), including undefeated No. 1 world welterweight contender Sadam “World Kid” Ali (Fighter of the Year), former New York State Athletic Commission chairperson Melvina Lathan (Woman of the Decade), Heather Hardy (Female Fighter of the Year), “Ireland’s” John Duddy (Uncrowned Champion), Andre Rozier (Trainer of the Year) and Joe DeGuardia (Promoter of the Year). Lathan is one of the most respected officials in the boxing industry. She judged 83 world title fights before becoming NYSAC chairperson in 2008 through this past year. Admired for her innovative thinking and support of boxers’ safety, she became the first female African-American commissioner head in boxing. Ali (22-0, 13 KOs), fighting out of Brooklyn, is knocking on the door of a world title shot. The talented welterweight is ranked among the top 11 in all four major sanctioning bodies: WBO #1, IBF #3, WBA #8 and WBC #11. Brooklyn’s 33-year-old Hardy (3 KOs) is the reigning WBC International super bantamweight champion. Another fighter on the verge of a world title shot, she sports a 3-0 record so far this year. Duddy (29-2, 18 KOs), who lives in Queens, was one of the most colorful and popular fighter in recent New York City boxing history. The powerful middleweight rose to No. 2 in the world and sold-out The Theater at Madison Square Garden on two occasions. Rozier, who is also the exclusive designer of Havoc brand boxing material, is recognized as one of the best trainers in the business. Some of his present fighters include Ali, world middleweight champion Daniel Jacobs, and Gary Stark Jr., plus 2012 U.S. Olympian and rising light heavyweight star Marcus Browne. DeGuardia, founder and CEO of Star Boxing, has promoted countless world champions, including Antonio Tarver, and world championship events. His top fighters today include Chris Algieri and Demetrius Andrade. RING 8’s OFFICIAL OF THE YEAR: Carlos Ortiz Jr.
RING 8’s PATRIOTISM AWARD: Cpl. Ron McNair Jr.
Keith M.Sullivan, Esq, Received a Special Presentation for his Pro-Bono Work for RING 8 & NYSBHOF . The American Friends of the Phelophepa Train (AFPT) is hosting their annual awards benefit gala on Monday, November 30, 2015. The red carpet event will be held at Guastavino’s in New York with cocktail reception to start at 6 PM. This year’s gala will recognize the work of global leaders for their achievements in health, cultural arts, business, humanities, and philanthropy. The funds raised at this year’s awards benefit dinner will contribute to establish the third Phelophepa Train, Phelophepa III set to enter service in 2018. This new addition will be used as a surgical facility to continue the vision and legacy of the Phelophepa cause. “We have never been able to offer any surgical services to the patients, which has been a great concern and dire need,” says Cathe Kruger EVP American Friends of the Phelophepa Train (AFPT). She adds, “Imagine the excitement of people living in desolate impoverished communities when a new surgical train arrives to do cataract operations giving thousands of legally blind people a new day of light and sight.” Dedicated to helping their patients with cataract surgeries, the organization has decided to add a car to the two existing Phelophepa Trains starting in 2016 while Phelophepa III is constructed. The Phelophepa trains deliver primary health care, education and outreach programs including, HIV/AIDS education. AFPT services include training community volunteers in basic healthcare and educating local schools and children. The South African Phelophepa trains travel throughout the country on a journey so worthwhile that the rural people refer to it as the “Train of Hope.” Its passengers are doctors, nurses, dentists, pharmacists and counselors who deliver primary health care, empowerment and technology to those in need. The gala held in New York City’s historical venue, Guastavino’s will include international dignitaries, American film industry (Hollywood) celebrities, and local and national socialites as guests. Artists from the Broadway Musical, “The Lion King” will be providing the main entertainment for the evening followed by a fashion show by designer Sergio Alain Barrios (SAB) who will be featuring a collection of men’s and women’s fashions created from African textiles. Guests will have the opportunity to participate in an auction which will include exclusive Nelson Mandela Memorabilia. A few mentionable items include, a 1995 World Cup Rugby photo signed by both Nelson Mandela and Francois Pienaar, 18K King Gold Hublot Mandela watches with a bezel set with 35 diamonds (totaling 1.15 carats), and a three piece funeral farewell art collection by Jane Makhubele. The Hublot special edition watches are limited to 95 pieces, a reference to Nelson Mandela’s age at the time of his death. Gala attendees will also have a chance to participate in bidding for an all-inclusive luxury trip to South Africa. Philip Nobel, a descendent of the legendary Nobel family recently partnered with a champagne house out of France and will be present to do a soft launch of the brand, “House of Nobel” at the awards gala. The Nobel family is also known for the creation of Nobel Prizes along with numerous other philanthropic and innovative ventures. Past staunch support for this remarkable project has come from President Nelson Mandela, UN Secretary-General, Kofi Annan, Mayor Michael Bloomberg, and President Bill Clinton. “We are thrilled to welcome the supporters of the Phelophepa trains and honor individuals that continue to make a difference in the world.” – Archbishop Desmond Tutu. With a vision to bring hope, empowerment and health equity to the poor in the rural communities of South Africa, Phelophepa provides a simple, one-stop service for its patients. Equipped with everything a traveling hospital requires, world’s largest mobile clinic provides healthcare education and outreach programs that ensures continued care once the train has departed. This cause has received awards and won global recognition for using innovative methods and technology in which the trains bring the best of modern medicine to rural areas in South Africa. 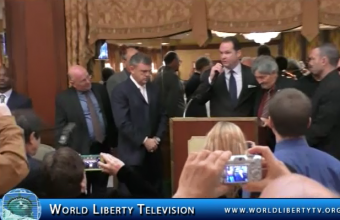 World Liberty TV, Team was on hand to support this charity, for the 5th year and hear an exclusive interview with Cathe Kruger Executive Vice President of The American Friends of the Phelophepa Train (AFPT), see what she had to say right here in our World Liberty TV, Humanitarian Channel . 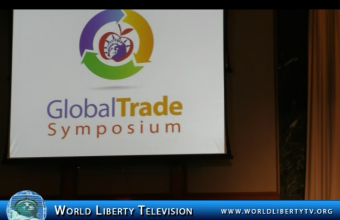 We at World Liberty TV, like to thank Mrs Divya Gupta ,President of G.R.I.D.S. Consulting ,who was the publicist for the Event ,in regarding setting up interviews with honorees and helping us with logistics for the night, without her and her professional staff team this would not of been possible, Thank you Mrs Gupta. Located in Hunts Point region of Bronx, NY, the Hunts Point Terminal Market is the largest wholesale produce market in the world, sitting on 113 acres of property comprising of 1 million square feet of interior space. We offer an amazingly diverse selection of fruits and vegetables from around the globe. Our produce is delivered fresh daily via plane, boat, and tractor trailer from 49 states and 55 countries. Through the years, we at Hunts Point Terminal Market maintain the traditions of our predecessors. We uphold traditions of excellence, quality, hard work and family. Some of the Market’s business proprietors are second and third generation businesspeople whose roots trace back to Washington Market. The market operates as a cooperative with an elected board of directors overseeing the internal business affairs of the over fifty businesses and over 10,000 employees operating in the market. Open five days a week, 24 hours a day, Hunts Point Terminal Market proudly provides the freshest produce to New York City’s, bodegas, upscale restaurants, restaurant suppliers, and secondary wholesalers just to name a few. We cater to the largest ethnically diverse region in the world with an estimated population of 22 million. Our clientele is as varied and vibrant as our produce. As a member of the great city of New York, we feel it is our responsibility and honor to give back to our community. At the end of each day, we donate our remaining food to community organizations serving underserved segments of the community including the Food Bank of New York City and City Harvest. 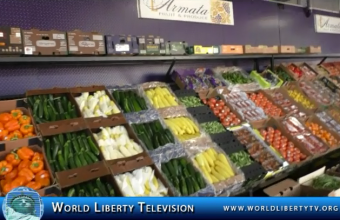 World Liberty TV, Team attended the Hunts Point Produce Market Tour with The Industry Bus Tours organized by The NY Produce Show 2015, See The Movers and shakers of the Hunts Market , and hear what The Co-President Joel Fierman For Hunt’s Point Market had to say as well as 2nd Vice President Matthew D’Arrigo, right here in our World Liberty TV, Food & Wine Channel. “Connect with Fresh” Food Media Luncheon” at the 2015 New York Produce Show. In addition to our keynote speaker, Top Chef Master Suvir Saran we will also welcome an additional guest Marilyn Dolan of the Alliance for Food and Farming who will share information about the Safe Fruits and Veggies Initiative aimed at promoting consumption of all fruits and vegetables by providing credible, science-based information to ease common fears about pesticide residues. We anticipate a lively, interactive discussion with both Chef Saran and Ms. Dolan. Chef Saran is recognized as the only Indian chef in the US to receive a Michelin star for his Devi restaurant in Manhattan. He also is known for his cookbook, American Masala, and for being a Top Chef Master and frequent guest on television cooking segments. Ms. Dolan has over 29 years’ experience in the field of agricultural public relations and issues management. As Executive Director of the Alliance for Food and Farming she speaks frequently on the topic of food safety. 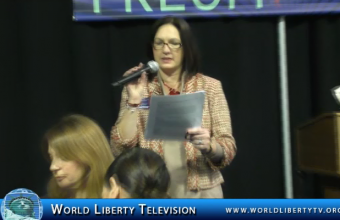 World Liberty TV, Food & Wine Channel team was on hand to cover this great luncheon ,See it in our World Liberty TV, Food and Wine Channel ,and we like to also thank Mrs Jodean Robbins of Produce Business Magazine for her kind invite, like always. The Eastern Produce Council and PRODUCE BUSINESS magazine have once again joined forces to present an exciting world-class event for the industry. The three-day event included networking opportunities, a trade show of over 400 companies, retail “thought-leader” breakfast panel hosted by Perishable Pundit Jim Prevor, educational micro-sessions and tours of the region’s vibrant industry, including the local retailers, wholesalers, foodservice distributors and urban farms and unique eateries. The program also included an outreach to students and faculty at regional universities as well as distinguished culinary schools; the “Connect with Fresh” media immersion program involving print, radio, TV and online outlets, plus a “Consumer Influencer” luncheon and show tour reaching out to bloggers, consumer editors and those working with all forms of social media. The Global Trade Symposium offered attendees the latest insights on produce importing and exporting to and from the Northeast Region. The Following Speakers participated and talked about the topics below at The 5th Annual Global Trade Symposium 2015.
by Presenter Johan Dique/group Managing Director ,Capespan Group ,South Africa. Getting past selling below the cost of production. QV Foods Group Spalding, United Kingdom . And more competitors are driving international fresh produce trade. Presenter: Dr.Roberto Cook,Phd /Cooperative Extension. Marketing Economist Dept of Agriculture . Seizing opportunities as the TPP Shifts the focus to the Japanese market. How to profit by engaging with the Island ‘s Food and Agriculture Sectors . 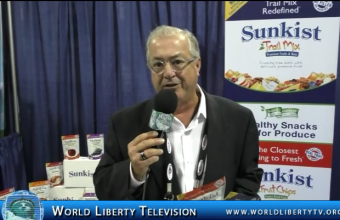 Presenter: Gualberto Rodriguez 111 , President Caribbean Produce Exchange. Wholesalers an effective portal for market access. Presenter: Richard Thompson , Director Gilbert Thompson. Four Strategies to help transcend todays Dilemmas. Presenter: Nic Jooste ,Marketing Director of Cool Fresh. Colin Cowie is on fire with an events business that travels the four corners of the world doing everything from intimate birthday celebrations to iconic weddings to corporate bashes, a hot new website on weddings and a consulting business that works on international hospitality and design projects for hotels, retailers and airlines. Layer on top of that his being a regular contributor to NBC’s The Today Show, a popular personality on HSN with home and lifestyle collections, and his ever-growing collection of lifestyle and entertaining books. Colin is a global citizen having traveled 12 million miles and visited almost 100 countries, he creates excitement and finds inspiration wherever he goes. His love for design and business keeps him hands-on with all of his projects. Empowering people to live their best life and be the best person they can be is at the top of what motivates him to share his lust for life. Through his website, books and television appearances, as well as by example, he consistently sends that message to the world. Born in Zambia and raised in South Africa, he is an avid supporter of several charities focused on children’s education and health. The party planner of choice for celebrities like Jennifer Aniston, Tom Cruise, Jennifer Lopez, Oprah Winfrey and Kim Kardashian, what sets Colin apart is his experiential approach to design; what you smell, touch, taste, feel and hear are carefully orchestrated to create the ultimate experience for Colin’s clients. Colin Cowie Celebrations is more than just a full-service event design and production company — we partner with you to turn your dreams into reality. We hear. We listen. We respond. We have our finger on the pulse of the latest trends in food, décor and entertainment, always focusing on the personalized details that make your event one-of-a-kind. 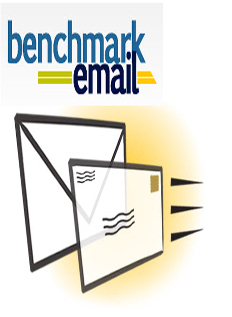 Our proactive approach and whatever-it-takes philosophy are why we enjoy such a loyal following among our clients. What truly separates us in the competitive landscape is our five-senses approach to creating exceptional experiences that will be remembered for a lifetime. Our team is dedicated to making every celebration reflect the host’s personality, taste, style and budget. Our experience and personal touch ensure a seamless and cohesive party, whether it is a private gathering for family and friends or a corporate affair for 2500. We work with you every step of the way, starting with initial concept design and budget planning, to deliver a party that is guaranteed to exceed your expectations, creating lasting memories for you and your guests. Whether designing weddings, milestone celebrations, corporate events, galas or charitable functions, our unmatched creativity and precision event planning will give you a truly meaningful, memorable and magical experience. Colin Cowie Weddings is revolutionizing online wedding planning with informative how-to’s, inspirational images and insider tips from Colin Cowie and his world-class event planning team. ColinvCowievWeddings shows you how to plan a wedding like the pros, helping couples on any budget achieve fabulous results with huge amounts of glamour, confidence and ease. Through informative tips and stunning image galleries, you can find your favorite wedding dress, plan your ideal dinner menu, explore the most fabulous wedding cakes and discover unique creative partners. Best of all, you can dream of your ultimate wedding day through a one-of-a-kind Inspiration Finder that allows you to search through an archive of gorgeous photographs by color and category. Find stunning flowers or delicious drinks for an intimate garden wedding or elaborate table scapes to seat 500 guests. For the bride who just can’t get enough, Colin Cowie Weddings’ Pinterest page is packed with jaw-dropping imagery, from the hottest new runway collections to must-have wedding desserts and gorgeous Real Weddings to inspire. On that same level, Colin Cowie Weddings’ Facebook is building a global community of brides, wedding enthusiasts and creative partners with open dialogue and intriguing social posts. Colin Cowie Enterprises places specific importance on aspirational partnerships. By aligning with some of the most respected and well-known companies in the world, Colin Cowie Enterprises has learned that every successful partnership begins with brand alignment. Whether a spokesperson or guest speaker Colin Cowie has the ability to connect with multiple audiences by tapping into his knowledge of Food & Beverage, Financial, Hospitality, Travel & Leisure, Retailer, Apparel & Accessories and Luxury Lifestyle Brands, as well as Style and Design Trends, Luxury Markets, Wedding Trends, Event Planning and Design, Customer Satisfaction and Brand Building. As an influential celebrity, Colin has also branded and cobranded successful licensing ventures with strategic partners, developing functional designs with a modern aesthetic. Colin also provides Consulting and Hospitality Design services to organizations interested in creating the experience that helps define and distinguish brands. Through insightful evaluations and assessments, Colin has developed turnkey solutions to elevate brands in the Food & Beverage, Service and Design industries.